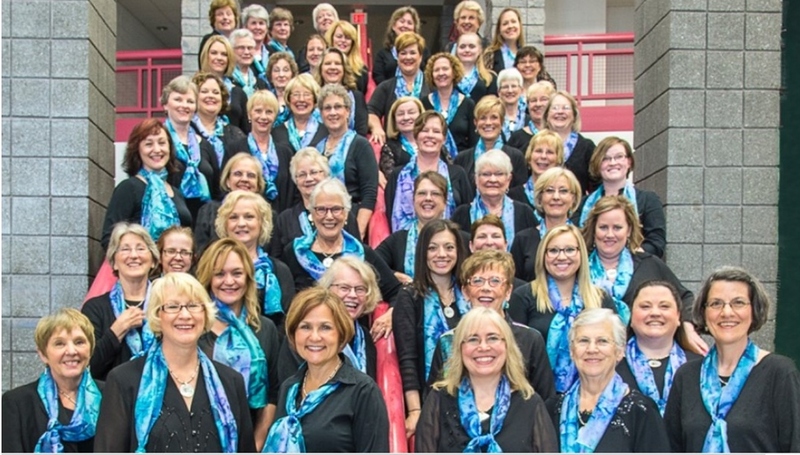 Congratulations, Voca Lyrica, on celebrating your 15th year as a women’s choir. To many of the singers in this musical family, it hardly seems possible that we have sung together for 15 years. Actually, there are six of the current 51 singers who are founding members of Voca Lyrica, along with its founding artistic director Ginny Kerwin. The rest of the women have come along throughout the years, including four new members for the upcoming spring concert. How do we celebrate the achievement of 15 years and more than 30 concerts? The fifteenth wedding anniversary gift is crystal, which is hardly appropriate. A fifteenth birthday will get you a driver’s license a year later. So when it came time to determine how to commemorate this milestone, we decided to commission a piece of music. We have sung other pieces that have been commissioned by other choirs, so the giving of a musical gift to ourselves and other choirs seemed like the right thing to do. Voca Lyrica has been hard at work learning this piece along with several other new songs for the concert, including another Andrea Ramsey composition “Truth.” So when the composer herself visited Voca Lyrica last week for a rehearsal, it was a real treat to sing for and interact with her. It’s very difficult to describe the energy that permeated the sanctuary of the United Church that afternoon. Suffice it to say that the experience was positive and beneficial for all. We had the opportunity to ask questions about the music and actually have input, and she got to hear her piece sung for the first time and then share many insights about its musical interpretation Singing “Richer for Her” is like opening a present over and over, but it is never exactly the same. The words are profound, but when set to music and then put to voice, they become something else entirely. We hope to honor Charlotte Tall Mountain and her work when we sing. Indeed the song honors all women, and their contributions to the world.